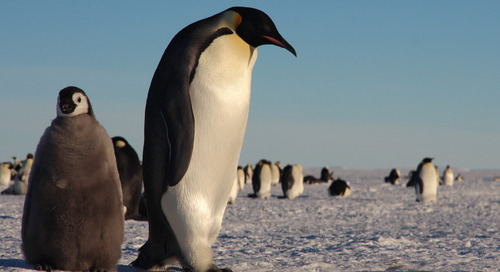 The largest and heaviest of the penguin species, majestic Emperors might seem fairly hardy. The adult males stand 45 inches, on average, and those who’ve had the privilege of seeing these incredible creatures in their natural habitat may tell you they seem to be the most human-like of the species, as well. They’ve evolved to survive the most brutal, punishing winter conditions on the planet—lows of -60°C and winds up to 200km per hour (124 mph). 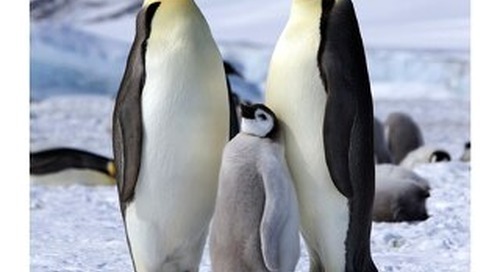 Yet Emperor penguins are incredibly vulnerable to phenomena like climate change. This is particularly true of the northernmost breeding colony near Snow Hill Island, Antarctica. 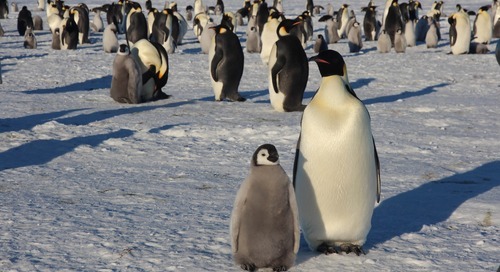 One of the most difficult places to reach on earth, the ice around Snow Hill is home to nearly 4,000 breeding pairs of Antarctica’s approximately 595,000 adult Emperors. The males of the species huddle together for warmth through the harsh winter, each incubating a single egg _on his feet, using his brood pouch to keep it warm_ while his partner is off hunting for krill and fish. 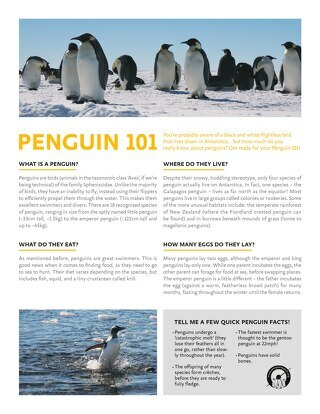 Check out these and other fun facts about Emperor penguins in our new infographic, Emperor Penguins: Captivating Giants of the Penguin Species. Want to see the Emperors for yourself in the wild near Snow Hill? 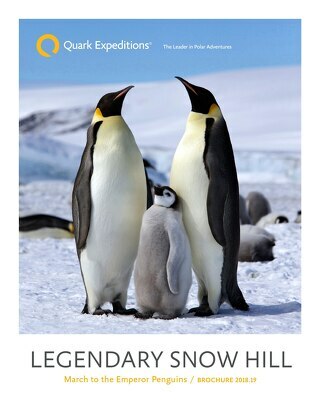 Learn more about the upcoming Legendary Snow Hill: March to the Emperor Penguins expedition here. Nadine is our Merchandise Operations Manager. She provides passengers with the highest quality, fashionable products for their expedition as well as the various souvenirs in our onboard Polar Boutiques. Nadine did her MBA in Milan, and worked in fashion. She buys from lines that allow you to stay warm and still look stylish. Be sure to check on the latest polar fashion on the Quark blog and look to the excellent gear available in our online gearshop. 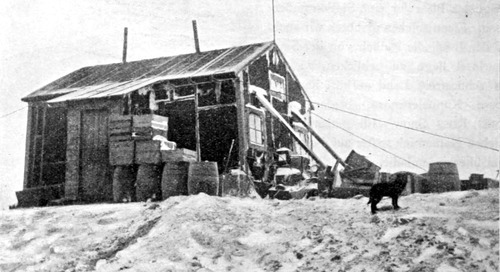 Discover the fascinating history of Antarctica destination Snow Hill Island, an icy haven for early Swedish Antarctic explorers and more. 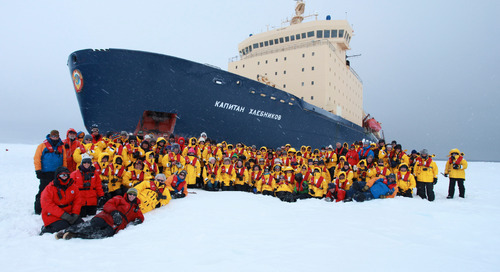 The official guide to our exclusive 2018 expeditions to visit the Emperor Penguin colony on Snow Hill Island aboard the legendary Kapitan Khlebnikov. 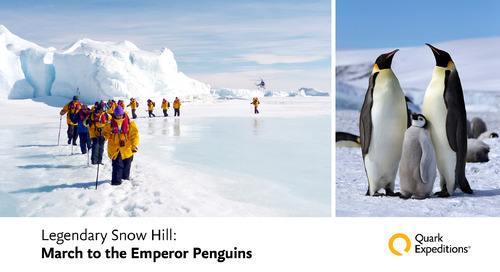 Snow Hill, one of the toughest places on earth to reach, is also home to an Emperor penguin colony of 4,000 breeding pairs. See how you can get there in 2018! Retired Canadian schoolteacher Kerry Peters shares his fascinating story of journeying to the seldomly visited Snow Hill by icebreaker, helicopter, and on foot. #CaptionFriday: "Hey Penny! I'll distract this one, you grab the camera bag, tripod and... run!" 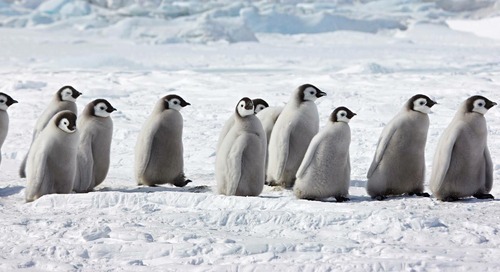 Witness Emperor penguins on our upcoming expedition to Snow Hill, check the link in bio for more info! Penguinologist Dr. Tom Hart shares the cool science and mystery surrounding the Emperor penguin colony near Snow Hill, Antarctica. 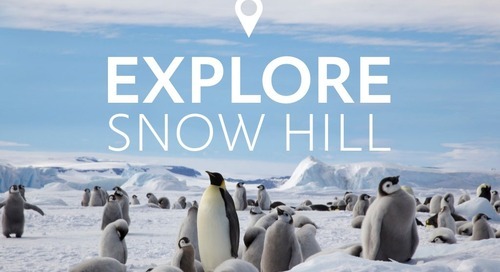 Take an authentic polar expedition to the Snow Hill Emperor penguin rookery and visit the fascinating Emperor penguins made famous in Sir David Attenborough’s Frozen Planet.